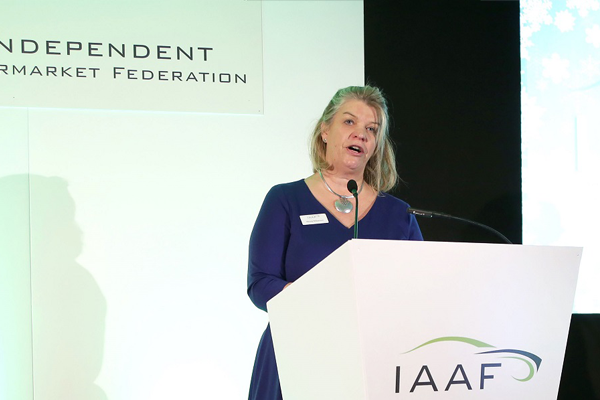 Leading automotive full-service PR and marketing agency, Impression Communications, has announced it will be headline sponsor of this year’s IAAF Annual Conference, taking place on 6 December. No stranger to the event, Impression Communications Managing Director Mark Field and his team have been supporting one of the annual highlights on the industry calendar for the past six years, overseeing all PR and marketing activity in the run-up, offering their specialist expertise and taking an active role in supporting the day’s proceedings since 2012. The 2018 Conference will be held for the second consecutive year at The DoubleTree by Hilton, Milton Keynes, one of the city’s iconic meeting and sporting venues, overlooking the impressive ArenaMK, home to MK Dons FC. An array of influential key speakers from across the automotive industry will be invited to engage the audience of around 100 attendees, most of whom will include parts suppliers and distributors, as well as representatives from the industry and aftermarket trade press. They will be addressing the major issues facing the industry across UK and Europe, with topics set to cover the latest developments involving ‘tomorrow’s@ aftermarket, future technology and Brexit, as well as access to in-vehicle data, to name a few. Keynote speaker at this year’s proceedings will be West Midlands MEP Daniel Dalton, lead negotiator on the Internal Market and Consumer Protection Committee (IMCO), which plays a key role in shaping European motor vehicle legislation. Dalton’s involvement has helped significantly influence the changes to Type Approval, an ongoing theme of IAAF’s own lobbying activities. He will be addressing delegates at the conference on Type Approval and Brexit, among other important political matters that will affect the future of the aftermarket.